Several months ago, I was contacted by the DesignEvo marketing team, asking me to review their product. And now that I've made some solid progress through my neverending request and publication queue, we are indeed doing that. 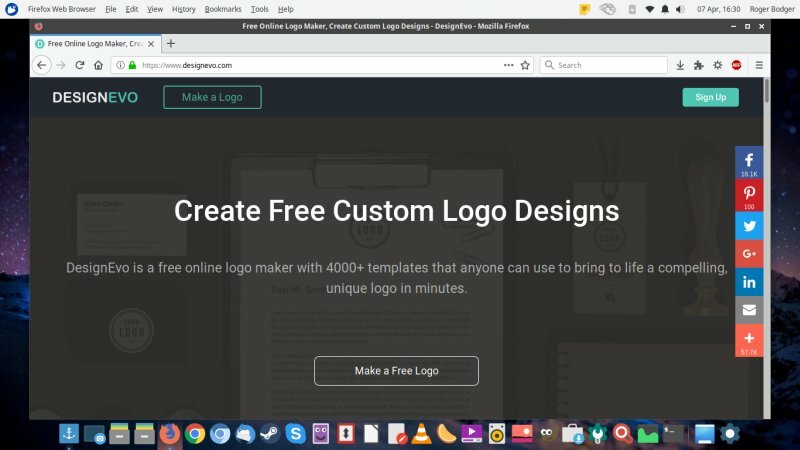 DesignEvo is an online logo maker tool, with thousands of high-quality templates available, offering both free and paid services. In general, the creation of logos is a somewhat niche need, but then, a lot of people like to have business cards, or they may wish to design an icon for their website or online service, and usually, this process involves working with an artist. But some may choose to style their own custom work, and this is where DesignEvo comes in. Let's see what gives. DesignEvo does not require any registration. 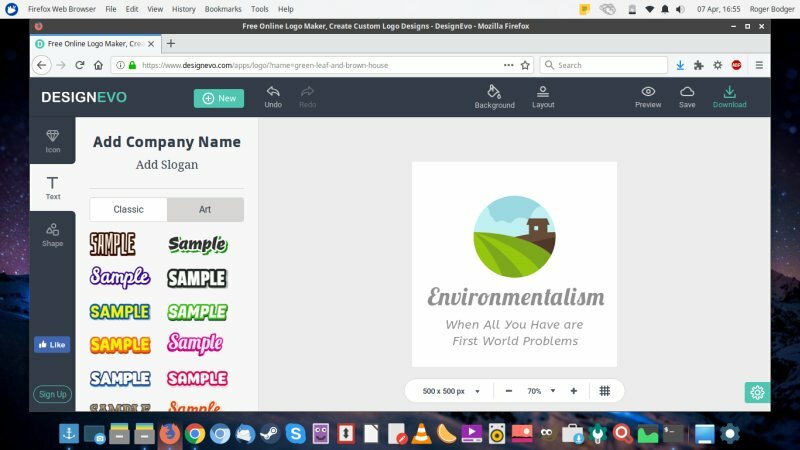 You can start creating logos right away. The site interface is fairly simple, resembling a canvas page with rudimentary editing controls, and a sidebar that gives you access to numerous templates, as well as various generic shapes and about 100 different fonts. You have the ability to use the existing options, sorted nicely into categories, search for specific design - and there are lots of those, or perhaps create a completely custom art, starting with a clean slate. Now there's a catch. Creating good art requires imagination. You can just put things together, but they will not necessarily be stylish. You need to be able to visualize what you're doing, you need a good understanding of colors, you need to have some marketing skills, and wording your business slogan is not easy. You also have to appreciate how things look on the screen versus a small piece of printed paper in your hand, for instance. This is not strictly related to DesignEvo, but it's part of the game. I invested time testing all sorts of permutations, using existing shapes and then adding my own text and whatnot. You can finely position elements on your canvas, and you get markers to help you align things to borders or the center point. You can also resize elements without losing quality - it's all vector graphics. Background wise, it's either nothing or solid color, if you're using the little art toolbar above the interface - no option to use an existing shape or pattern for the background. For that, you need to add an element to your canvas and that will become your background. 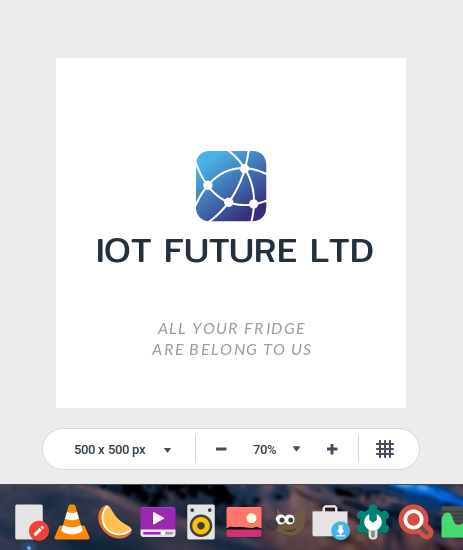 You can preview how your logo will look like in different "forms" like letterhead, business card, website, and more. This should help you make a smarter decision on font size, clarity of the added shapes or text. Quite often, what you see on a 500x500px canvas is not what you will have on a typical document or a web page. All in all, though, I was enjoying myself. 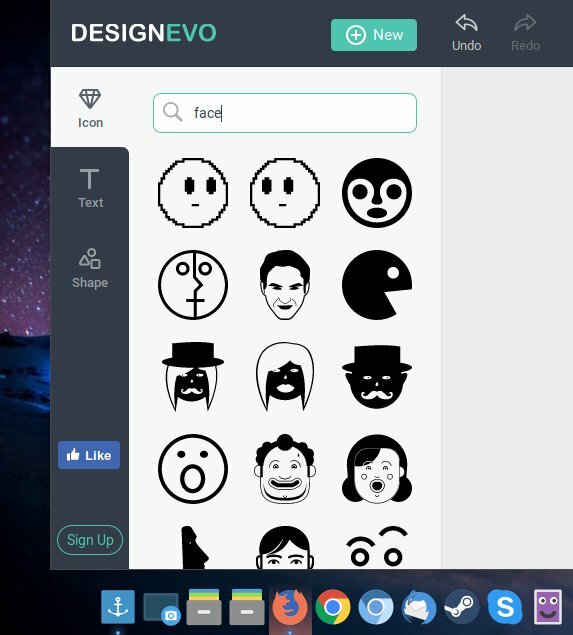 DesignEvo is easy to use, and it's fun discovering fonts and shapes. There really is a huge repertoire of available art, and the fonts are very neat. Firefox did freeze and then crash once, but we can't blame DesignEvo for that, whatever its code. I was quite pleased with my progress, but then, when I tried to download my art, the pestering started. 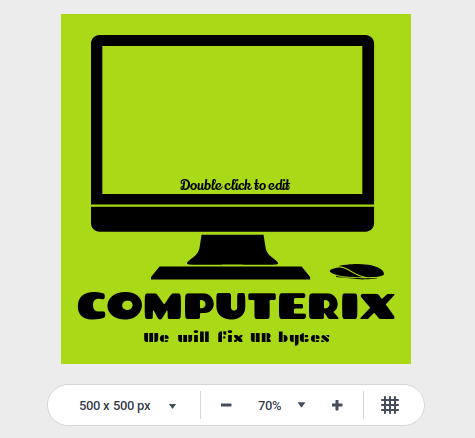 One, you are limited to a 500x500px resolution for a free design, and if you want better than that, you need to purchase one of the paid options. This is not stated upfront, so the whole "foot in the door" approach is antagonizing. 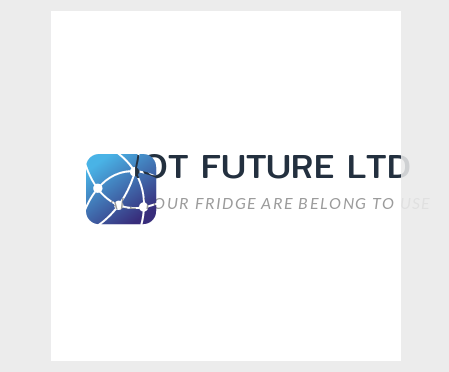 You are also redirected to the FotoJet page, which seems to be the main Pearl Mountain product. Furthermore, the use of the free design is not really free. 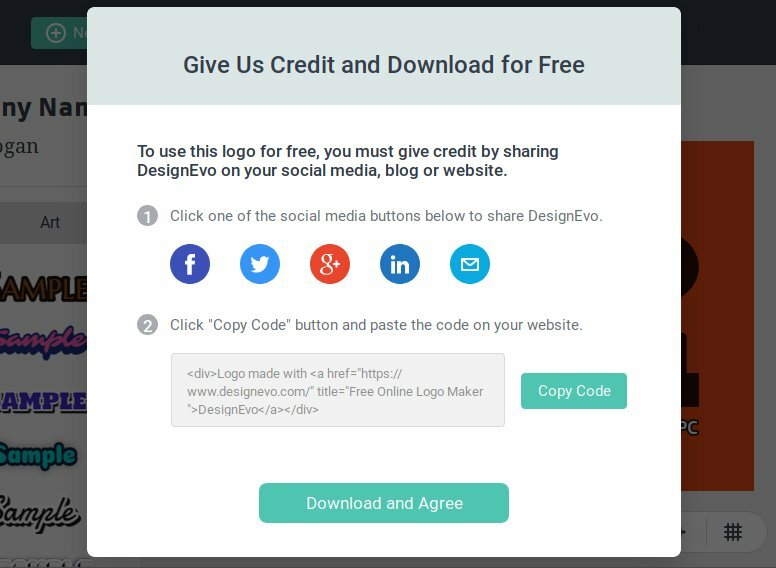 You must give credit and share DesignEvo on your blog or website. This means that if you want to utilize the service, there has to be a mention of the company, and that's fine, but that's not free. The word free means something else. 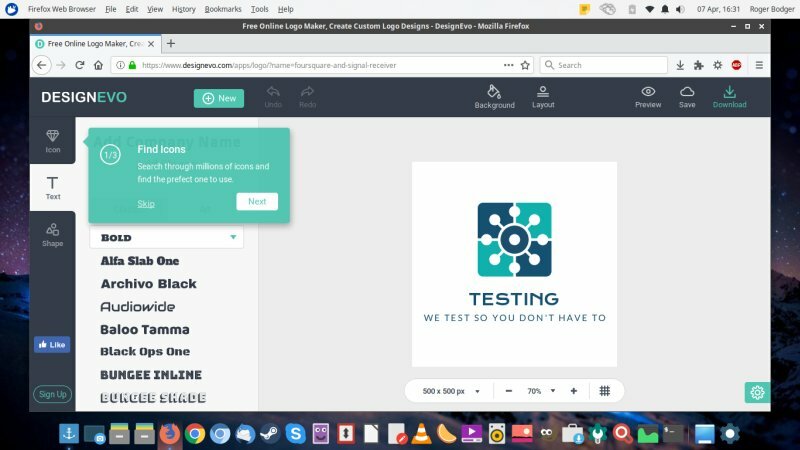 This also raises a question: If you buy services from DesignEvo, what is the actual license when it comes to shapes, designs or fonts? 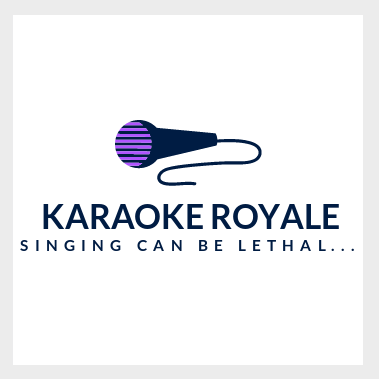 Is there an implied or explicit commercial license? Looking at the pricing page, the Basic package does not offer that, but the Plus one (USD39.99) does seem to include copyright ownership. Again, this makes for a tricky legal case perhaps, and it also means that if you really want to use a logo, the only option is the Plus package. 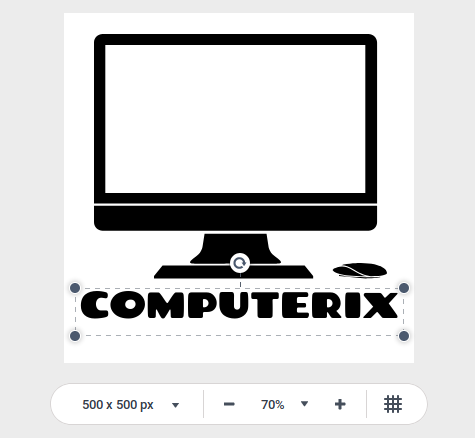 I haven't seen a option to use your own images - because they could make perfect sense in a custom logo, but there probably are copyright or licensing conditions that prevent DesignEvo from offering something like that. You need to actually register and sign in to be able to save your work, otherwise your designs will be lost if you navigate away. That should also be mentioned when you begin your artistic adventures. Moreover, if you add long text strings, they will overflow and/or touch canvas borders, and this can be a bit annoying. Lastly, there's a question of privacy. I am wondering what happens to your designs while you're working. After all, people may choose to add all sorts of information to their logos, and while technically that information ought to be public, that does not mean you expect it to be accessible everywhere. Does DesignEvo keep or log some of the strings or art used? DesignEvo logo maker is an okay piece of software. It's easy and fun to use, although you need a bit of artistic flair to achieve good results. The app combines simplicity with power features in a good way, and the available catalog of shapes and fonts is quite impressive. 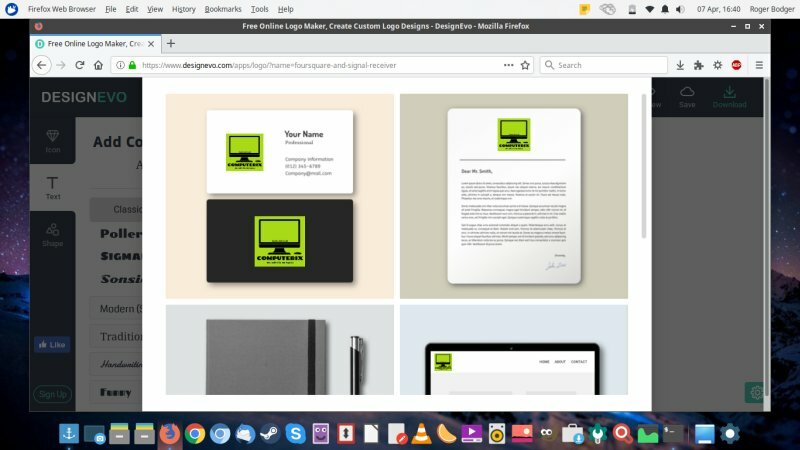 A great starting pointing for online logo creation. The experience is marred by the free-not-free step at the very end. Once you've already done a lot of hard work, you learn that your expectations are wrong. Free isn't free, and copyright ownership costs money. Perhaps that is meant to sway people into actually buying the non-free packages, but in my case, it actually created the opposite effect. I have nothing against paying for high-quality services, which DesignEvo is, but the process must be clear, transparent and honest. 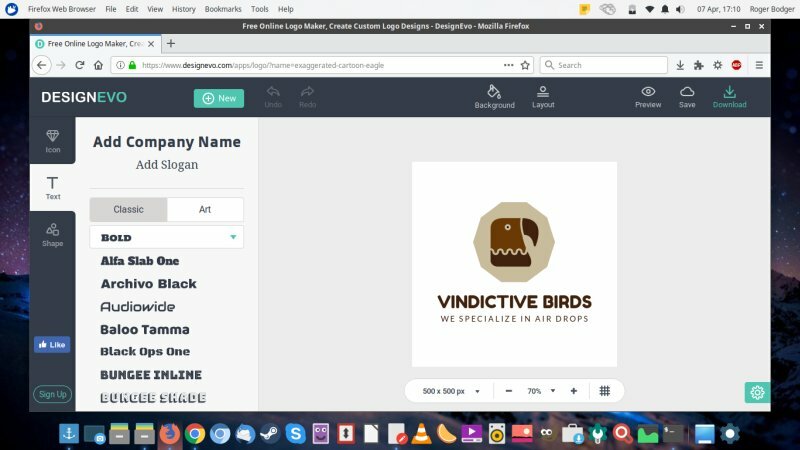 Emotional and financial aspects aside, if you do want to design and style your own logos, DesignEvo offers a very flexible, intuitive set of tools and art work to get you enthused and engaged. There are a few small things that can be improved vis-a-vis background styling and text alignment, but those are small niggles that you can easily sort out on your own. The only missing piece is, do you have the right kind of imagination to create the right kind of compelling visuals for your site or business? Well, that is something no software can offer. See you around, fellas.